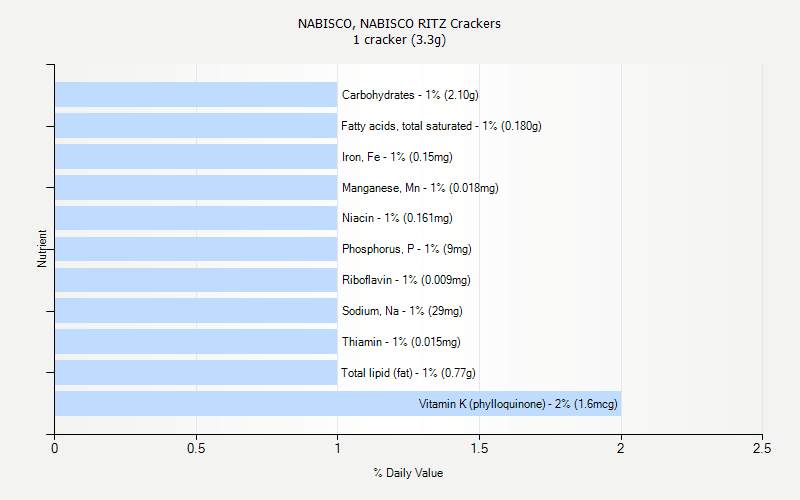 The nutrition information on this tab is specific to a portion size. 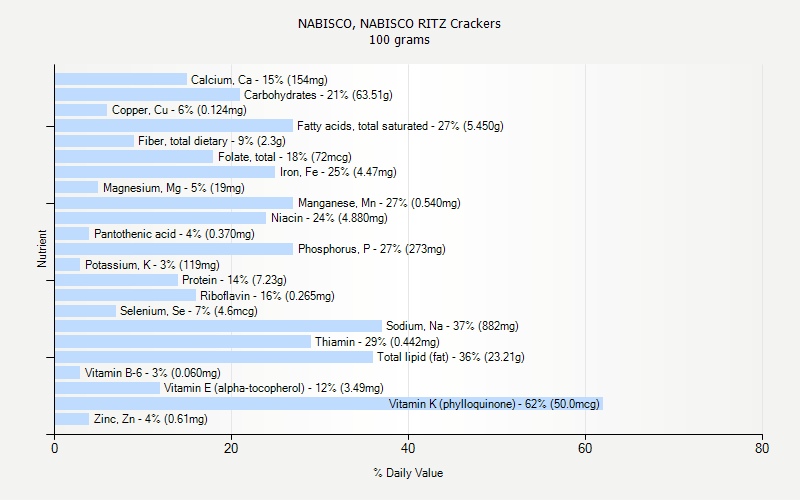 This tab shows nutrition for 1 cracker (3.3g). The nutrition information on this tab is specific to a portion size. 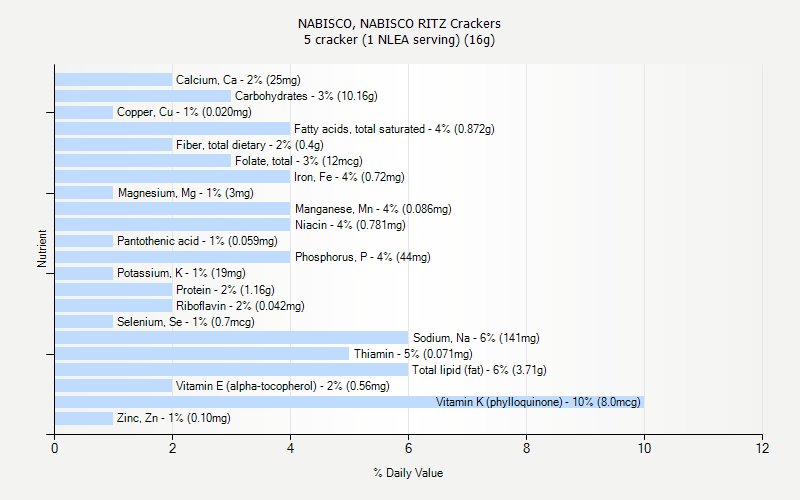 This tab shows nutrition for 5 cracker (1 NLEA serving) (16g).